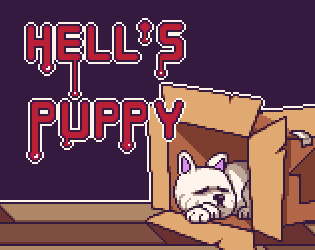 It's a game where Satan is imprisoned in a dog and he needs to go back to Hell. This is the product of development with an awesome team of people from the VACAROXA. Find them on twitter looking the Hashtag or follow @estudiovacaroxa. If you are curious on the Android Studio Project to port it, you can find it here. Use Arrow left and right keys to move. Alt+Enter to fullscreen. Android has experimental touch controls. Download here or go to Releases and get latest binaries. Note Linux binary requires installing sdl2.